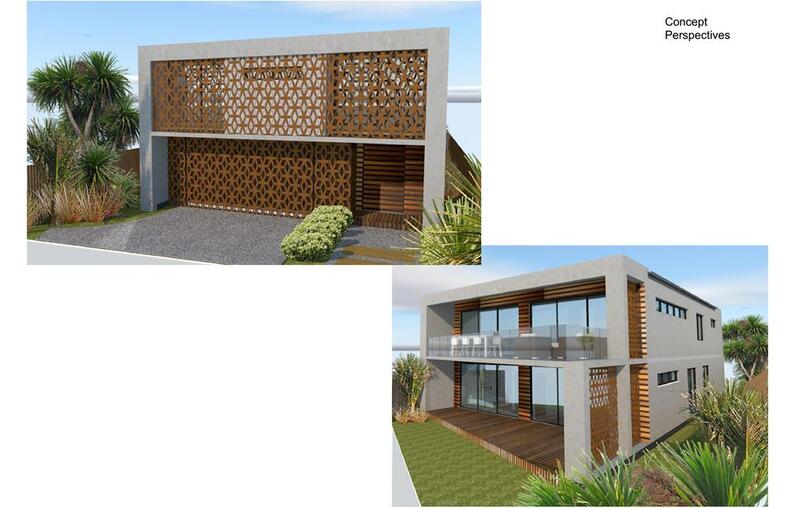 Creative Space has been engaged by a Mount Maunganui couple to design a striking new house in the sought after area of Orkney Road. Our client had a wish to create a strong and durable structure that provided privacy whilst also allowing for passive sustainable principles to be implemented. Our client provided a clear design brief which enabled us to explore ways to utilise Insulated Concrete Form (ICF) as the main construction material. Instead of conforming to a stereotypical suburban house, our design solution was to provide a building that is a distinct juxtaposition to the norm. We are currently working on some awesome, very high spec projects using upcycled shipping containers and we would like to know how many others out there are interested in this as a building option. A great way to create a super environmentally friendly, off-the-grid living or lifestyle space for your own get-away, as a guest accomodation or office space - whatever you want to make it really! Call or email us here to discuss this idea further. What an incredible year 2017 has been. I cant say it has been overly kind in regard to weekend trips away fishing, mountain biking or generally relaxing. It has however been excellent for the massive amount of activity and work in all areas of the BOP. I’d like to thank all clients who demonstrated huge patience and understanding this year. You really are wonderful and it makes all the difference when people understand that we are doing all we can. We have seen some huge efforts working late nights and plenty of weekends, not only from the team in-house but also from engineers and other outwork professionals. So a big thanks to all of our clients and to the structural engineers, land surveyors, registered building surveyors and other consultants. This year has brought some important changes for our business and has facilitated some giant leaps forward in regard to our services and technology. After listening closely to our team, we decided to shift our Computer Aided Design system (CAD) from Vectorworks to Archicad. While this change has come at substantial cost, it is giving us the ability to produce even more amazing 3D models that clients can walk through and explore on their phones, ipads or desktop computers. This system will also give us an ability to work smarter and more efficiently when producing documentation for building consents. Aside from our CAD upgrade, the team has been reviewing all our systems and processes in order to improve communication with clients throughout the design/documentation process. As part of this process we will now be splitting off a ‘Pricing Drawing’ stage for every project as well as prioritising outwork engineering at a very early stage to speed up the drawing and consenting processes. This has largely been in response to increasing construction costs and mounting delays with engineering and other outwork items. And finally, thanks to the Creative Space Team! You guys really are the most fun and supportive individuals to work with. It makes all the difference rolling into the office on a daily basis knowing I get to play in the sandpit with you lot.